21 April 2016, Singapore – More racing is sure to rev-up petrolheads at the 2016 FORMULA 1 SINGAPORE AIRLINES SINGAPORE GRAND PRIX, held from September 16-18, with Ferrari Challenge Asia Pacific joining the TCR International Series and Porsche Carrera Cup Asia as the event’s official support races. The Marina Bay Street Circuit will be awash with sound, as some of the world’s best sports car drivers go wheel-to-wheel, threading the barriers in support of their FORMULA 1® counterparts. 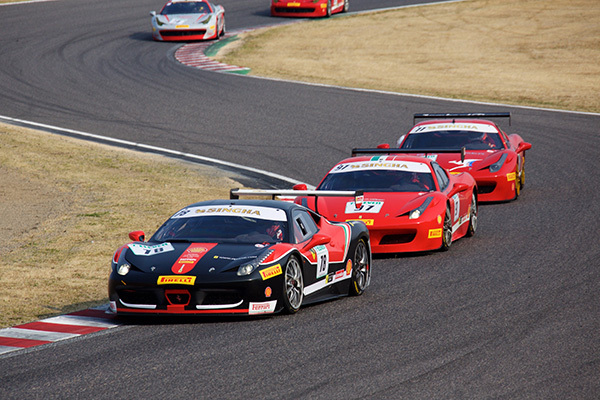 The Ferrari Challenge Asia Pacific, part of the Prancing Horse’s one-make series, returns to the event for the first time since 2012. The entry list is sure to feature a number of top drivers from around the world - each of whom will race identical Ferrari 458 Challenge EVOs, complete with 4.5-litre V8 engines putting out 570bhp. 2015’s Trofeo Pirelli Champion Steve Wyatt will return to the city-state, ready to put his considerable experience to the test around Marina Bay. The Australian is a two-time Ferrari Challenge Asia Pacific champion, 2013 Asian Le Mans Series champion in the GTC class, 2014 Gulf 12-hours winner in the GT3 class - and has competed in a number of other iconic endurance events including the Le Mans 24-hours, Spa 24-hours and Bathurst 12-hours. Singapore will see its very own driver, Gregory Teo, competing in the Trofeo Pirelli AM classification. Teo, overall second place winner in last year’s Trofeo Pirelli AM Asia Pacific Series, won 50% of the races he has participated in last year, making him a strong contender for the title this year. Also returning to the FORMULA 1 SINGAPORE GRAND PRIX official support race bill is touring car championship, the TCR International Series. 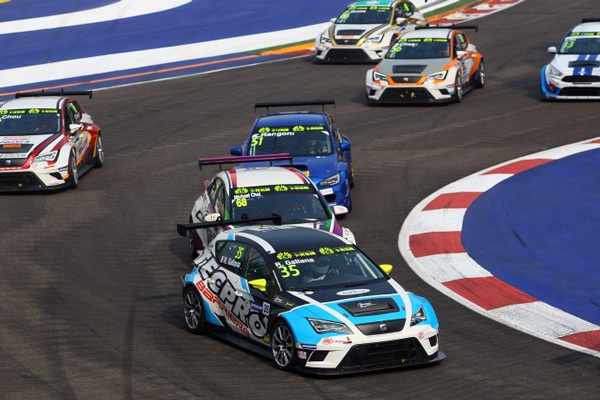 The global series made its Singapore debut last year, and impressed trackside race fans with its field of 2.0-litre turbocharged production touring cars from major manufacturers Ford, Honda, Opel, SEAT and Volkswagen. The models will be instantly recognisable, with the Volkswagen Golf GTI, Honda Civic, Ford Focus, Seat León, Opel Astra, Alfa Romeo Giulietta and Subaru STI all household names - but their performance is again sure to surprise with each capable of 330bhp. A GT3-style balance of performance formula ensures level competition. The series sports an impressive mix Europe and Asia’s best drivers, including Gianni Morbidelli, who started 67 Grands Prix between 1990 and 1997 for six teams, including a one-off appearance for Ferrari at the 1991 Australian Grand Prix in Adelaide when he replaced Alain Prost. The reigning series champion is 26-year-old driver Stefano Comini, who moved this year to newcomer Leopard Racing and at the wheel of Volkswagen Golf. The Swiss driver scooped the title in his debut TCR season, care of six wins and 11 podiums - including two scored in Singapore. Porsche Carrera Cup Asia completes the official support race line-up at the 2016 FORMULA 1 SINGAPORE AIRLINES SINGAPORE GRAND PRIX. 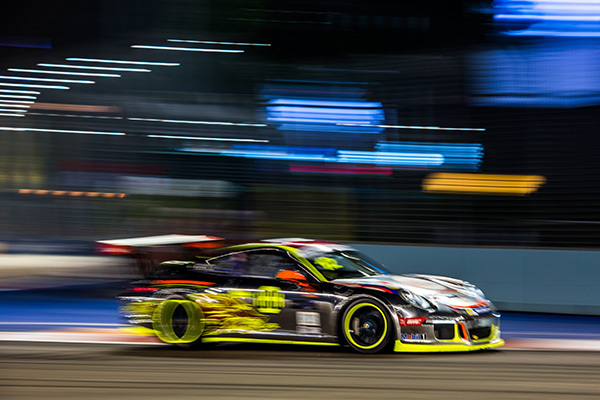 Now in its 14th season, the Porsche Carrera Cup Asia is a blockbuster category - with some of the best sports car drivers in the business going wheel-to-wheel in identical Porsche 911 GT3 Cup cars. Based on the road-going 911 GT3 model, these single-seater, near standard race cars feature 3.8-litre six-cylinder boxer engines and put out a maximum 460bhp at 7500rpm for serious performance. Making his first appearance at his home track with the Porsche Carrera Cup Asia will be Andrew Tang, the young Singaporean who was chosen as the first ever Porsche China Junior. He will compete, with support from Porsche China, over the whole Carrera Cup Asia season as part of the inaugural year of the Porsche China Junior Programme. The reigning champion is former GP2 racer, New Zealand’s Chris Van Der Drift, who took the 2015 title ahead of his highly rated countryman Craig Baird. In the privateer Class B, Singapore’s own Yuey Tan will return to his home track as reigning champion - having held his own against the world’s best racers with 10th overall, his best-ever result, in the final standings. Ticketholders to the 2016 FORMULA 1 SINGAPORE AIRLINES SINGAPORE GRAND PRIX will be able to catch all three support races as well as the Formula 1® action at the Marina Bay Street Circuit. Early-bird tickets with up to 28% off regular ticket prices are available for sale until 2 May at www.singaporegp.sg, via the ticketing hotline +65 6738 6738 as well as all authorised ticketing agents.